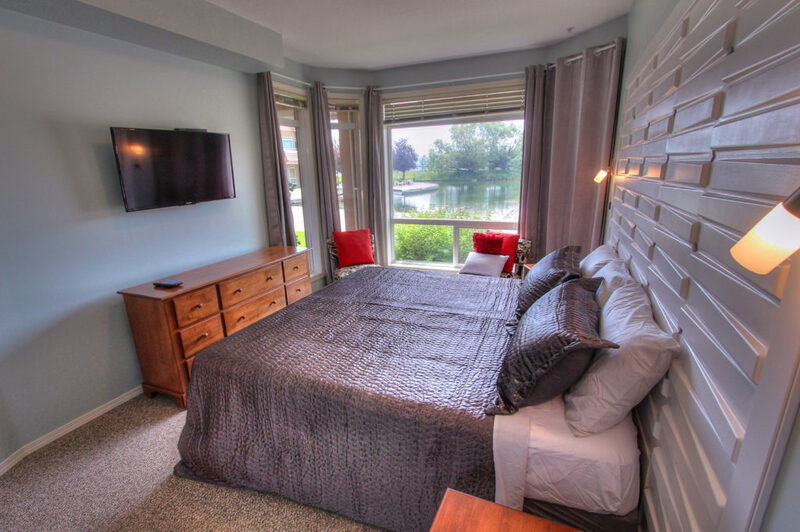 Located in the DISCOVERY BAY RESORT, this air conditioned suite provides luxury as well as Lagoon and Lake views accessible from the walk out patio with the suite being located at the lake end of the North Building. 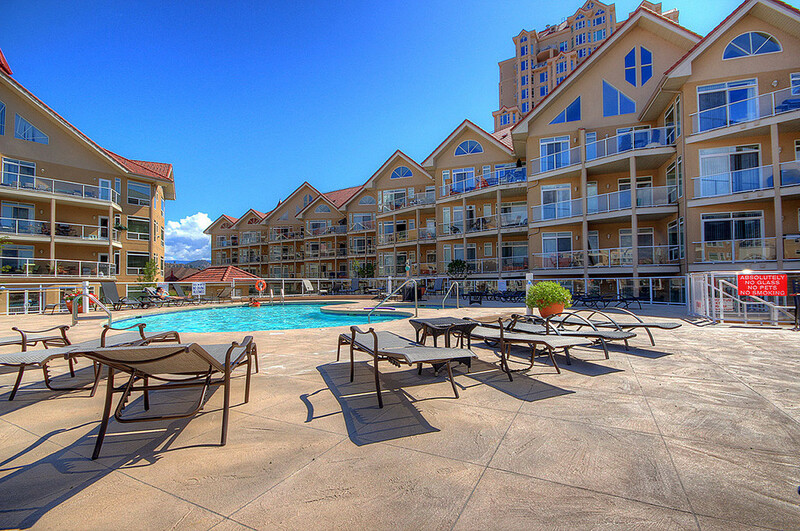 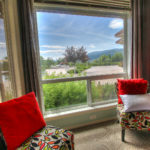 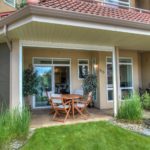 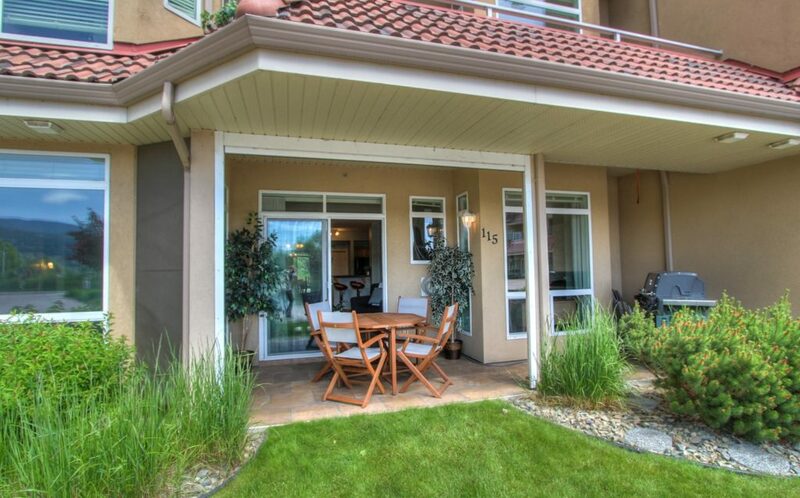 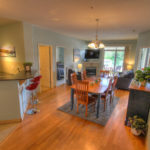 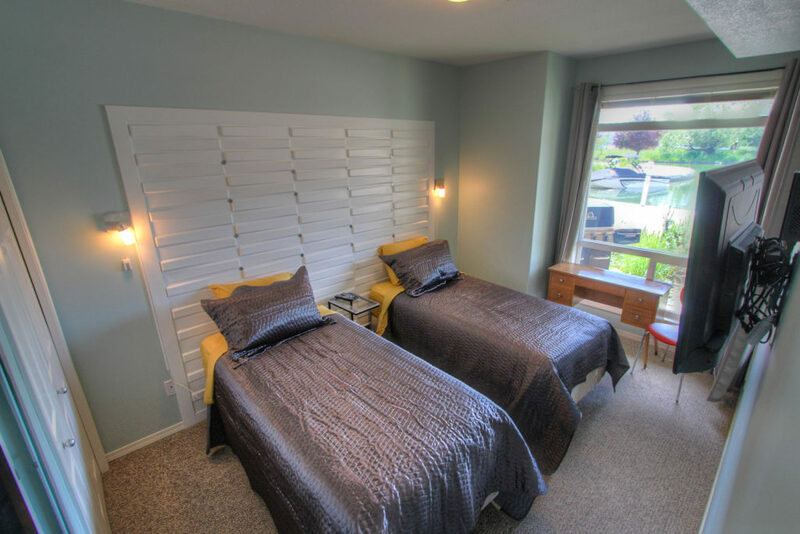 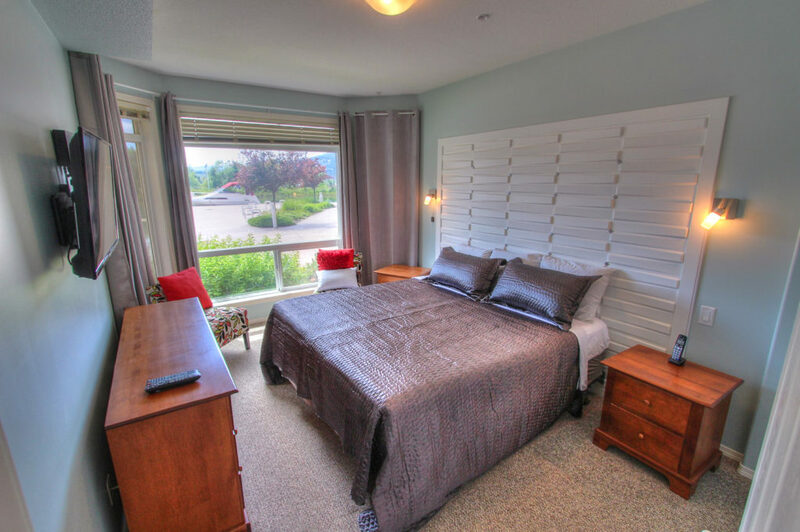 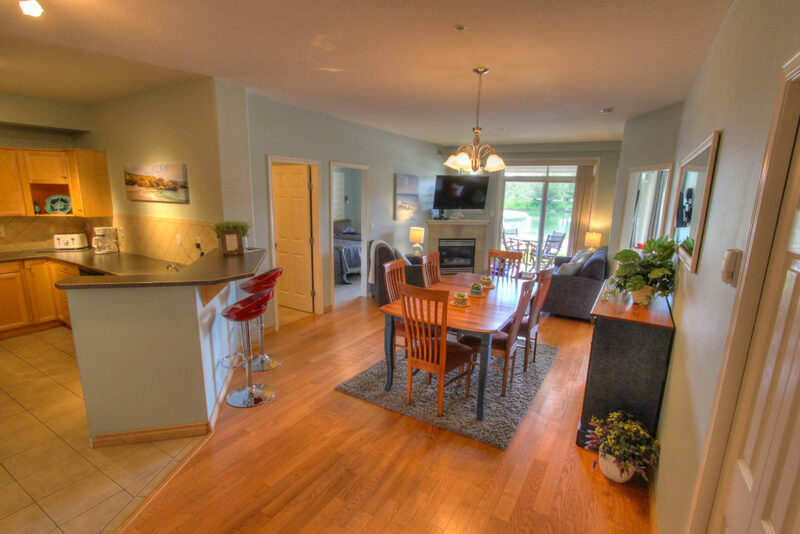 This is one of Kelowna’s luxury first class resort accommodations located in the heart of downtown Kelowna. 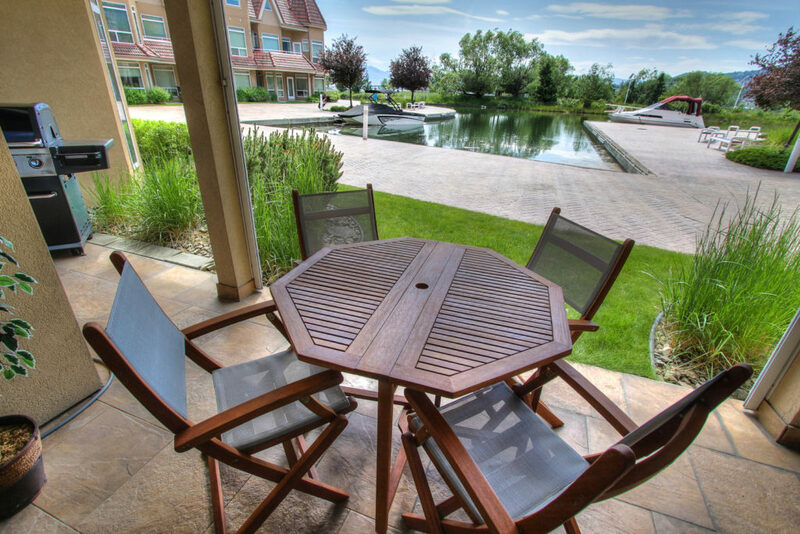 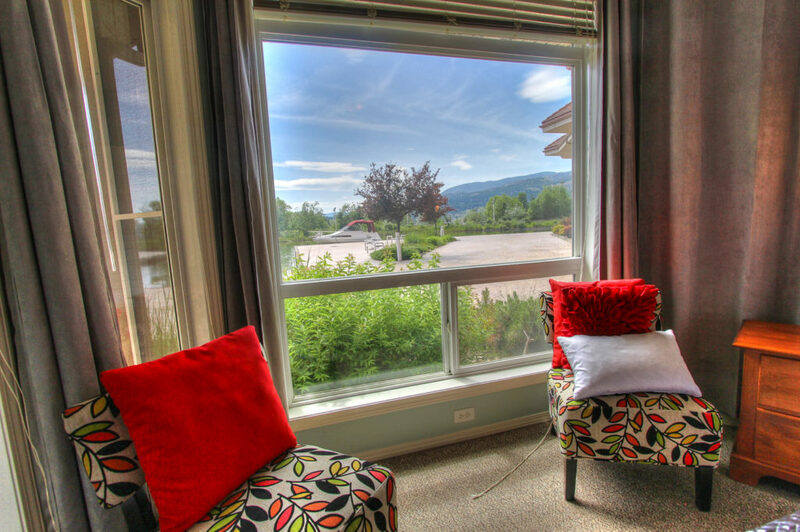 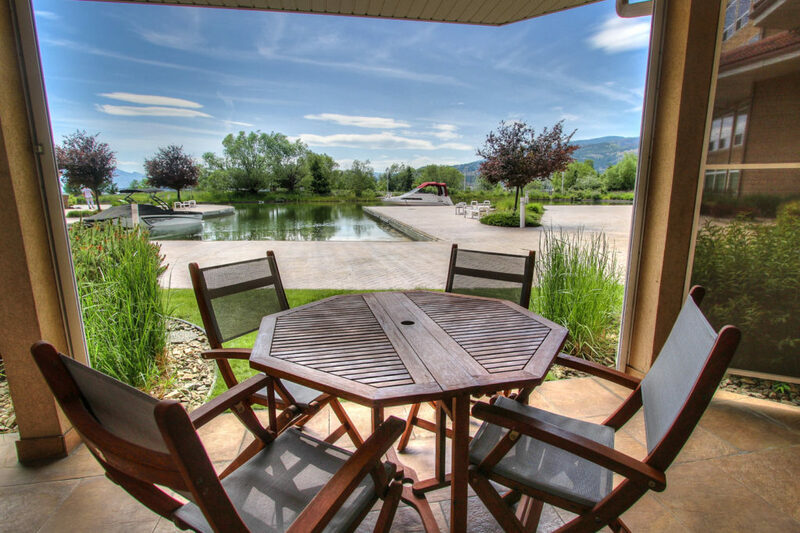 This resort offers panoramic views of the city and mountains along with stunning views of Okanagan Lake. 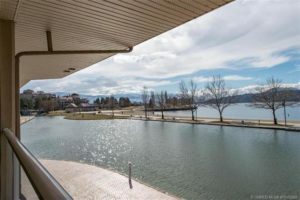 Being located right on the Waterfront, there are miles of waterfront walkways offering visitors a relaxing park-like setting. 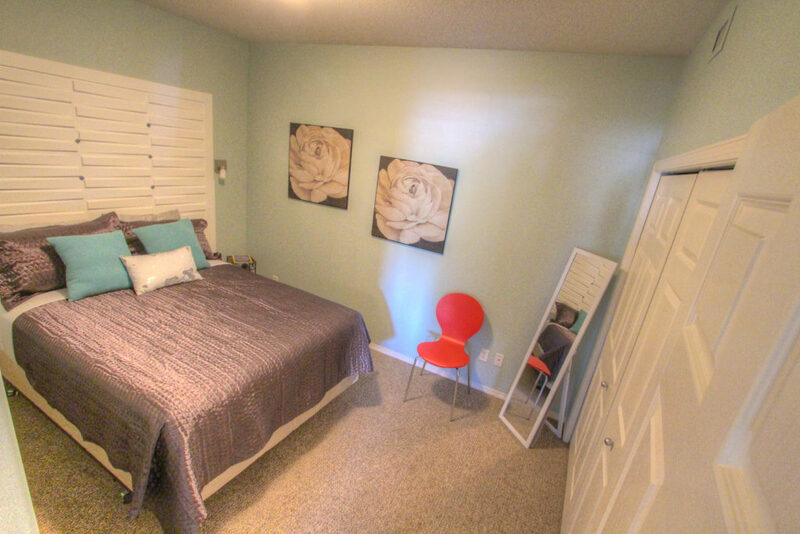 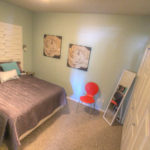 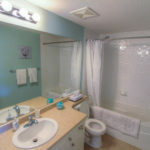 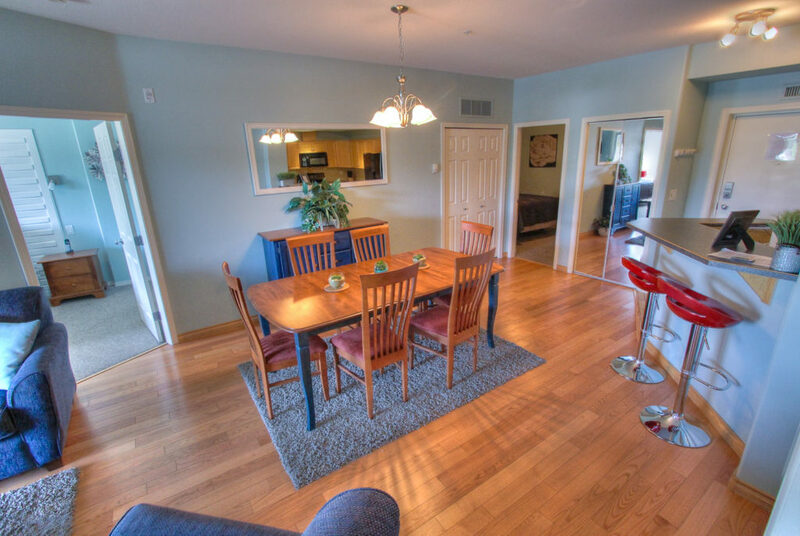 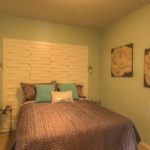 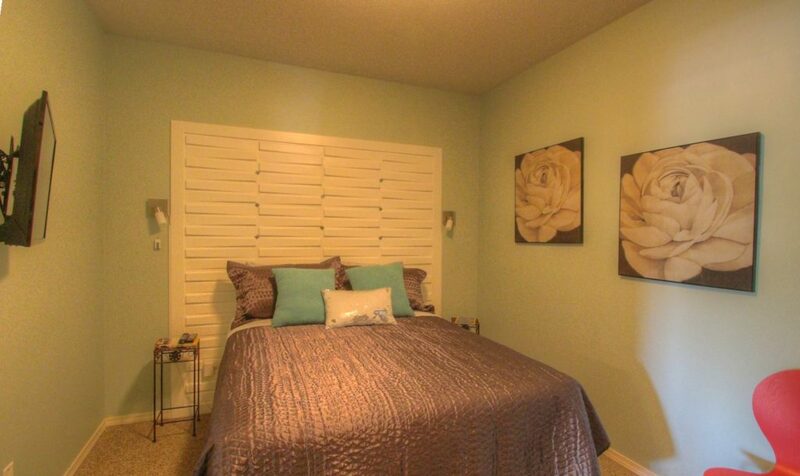 You are within walking distance to several coffee shops and restaurants! 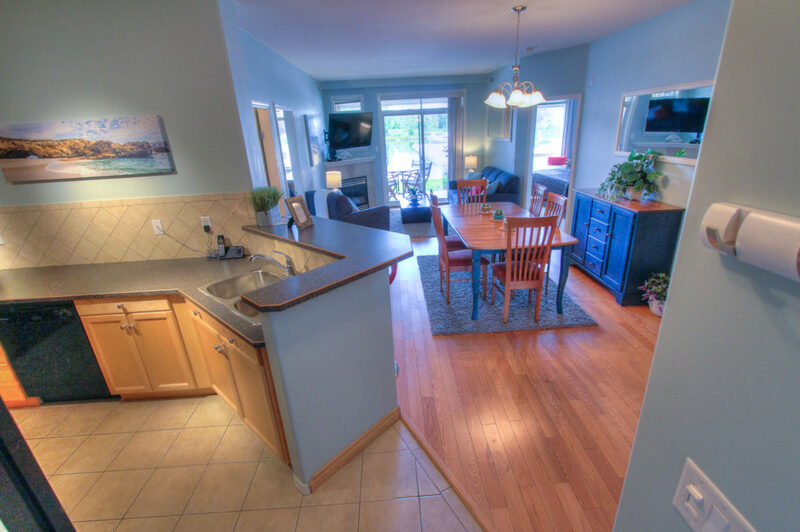 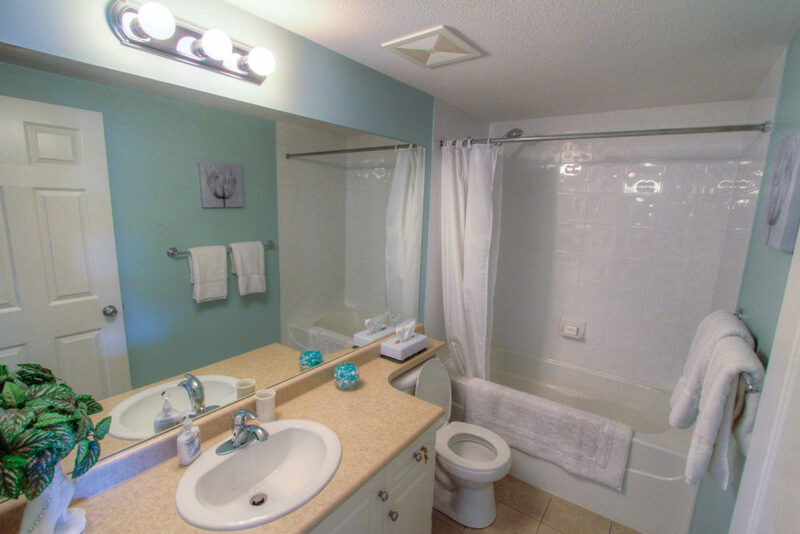 Located on the Ground Floor, This 3 bedroom (1 is windowless(den)), 2 bath Suite features Lagoon and Lake views! 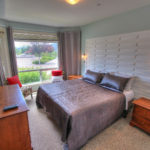 The spacious Master bedroom provides a King bed with Ensuite bathroom, 2 Twin beds (T2K) in the spacious second bedroom and Queen Bed in Den, Main Bathroom and Double sofa Bed in living room. 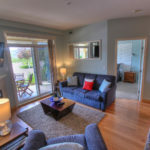 This suite accommodates 6 (7 if a guest is on the living room sofa bed). 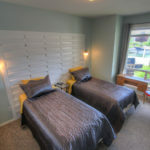 It also benefits from being Dog Friendly (only 1 small dog allowed – extra fees) and ask about the Boat slip availability as well at just $55 per night +tax. 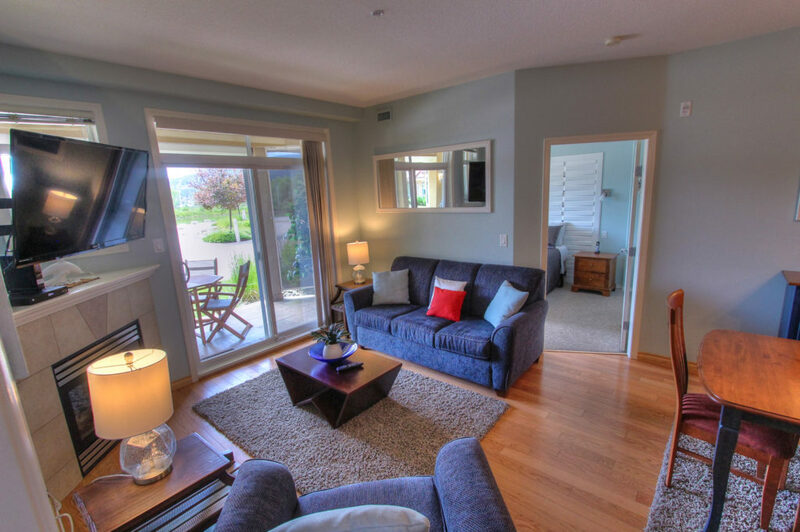 Equipped with TV’s in the living room and all bedrooms. 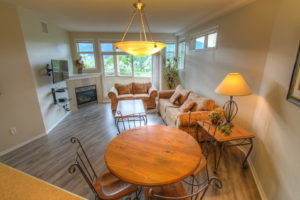 Cable service along with high speed Wi-Fi (internet). 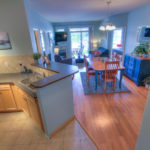 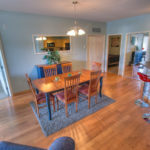 This fully equipped suite comes with kitchen dining for 7 including a blender, toaster, coffee maker, bath towels, bed linens, an in-suite washer/dryer with laundry detergent and a gas BBQ on the deck. 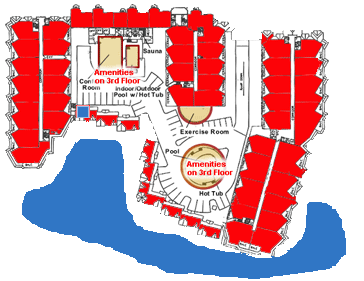 Within the secured, undercover building parkade you will find a reserved SINGLE car space.